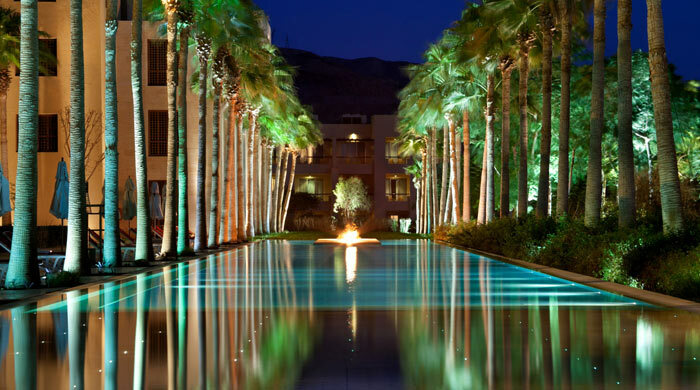 The Kempinski Hotel Ishtar sits more than 1,400 feet below sea level on the otherworldly shores of the Dead Sea, the world’s oldest and very first natural spa. Designed as a tribute to the Hanging Gardens of Babylon, the hotel cascades through a series of terraced levels with three clusters of split-level enclaves anchored by lush gardens, lagoons and freshwater swimming pools. 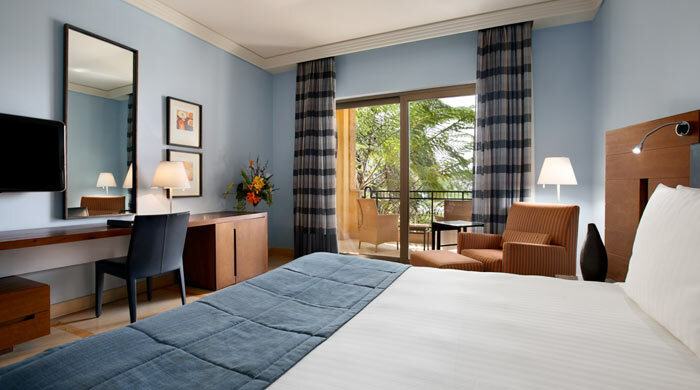 Although the hotel is within easy reach of Jordan's historic sites - from the rock-hewn city of Petra to the Roman ruins at Jerash - the emphasis here is on relaxation. 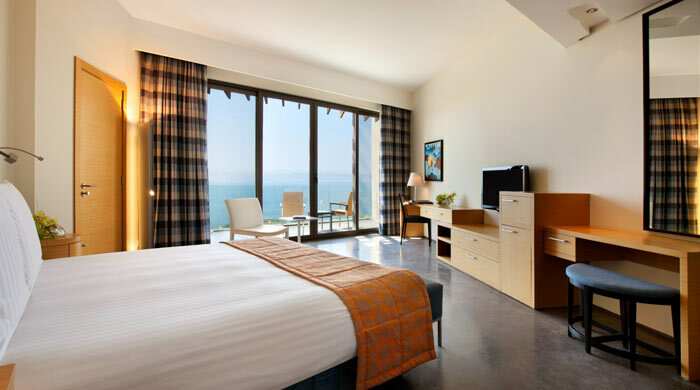 Each enclave houses airy, sizeable rooms, all with balconies, sea views, internet access and Dead Sea-inspired bathroom amenities. 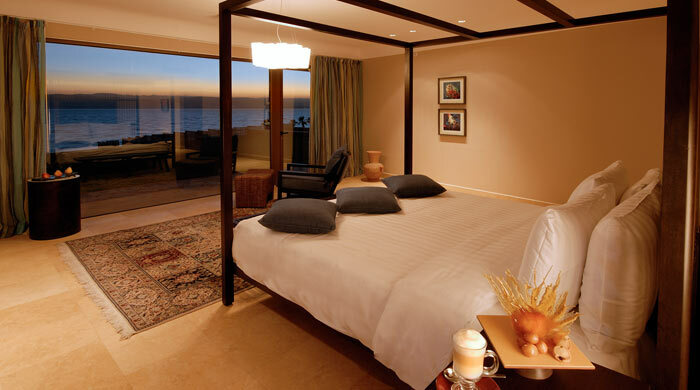 Suites boast custom-made furniture, natural stone bathrooms, private balconies or terraces and secluded pools. Royal Villas come with direct beach access, an infinity-edge pool, outdoor jacuzzi, private butler, personal chauffeur and luxury car. 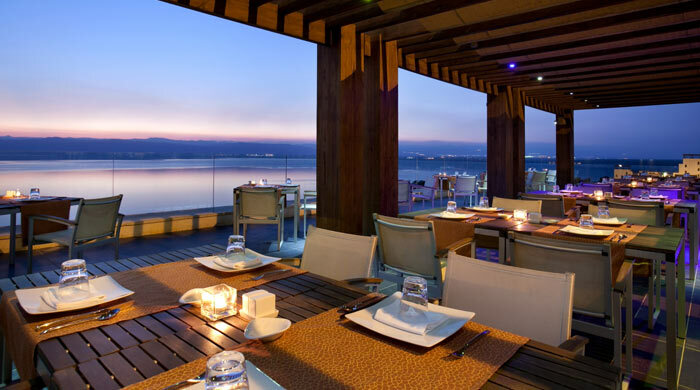 Culinary highlights include local and international dishes served throughout the day at The Obelisk Restaurant and the homemade pizza and fresh pasta on offer at the Ashur Pizza & Grill Italian Restaurant, a cross between a fine-dining venue and a chill-out lounge, with a fabulous location by the lower infinity pool. The hotel boasts a labyrinth of whirlpools, steam rooms and saunas, as well as meditation and yoga rooms and no fewer than nine outdoor swimming pools. 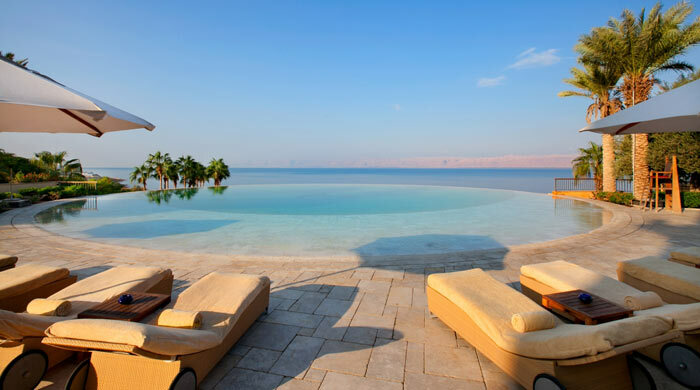 You can float on the Dead Sea’s salt-rich waters or enjoy the purifying benefits of a Dead Sea mud wrap and salt body scrub at the very stylish, adults-only Anantara Spa, the largest spa in the Middle East.